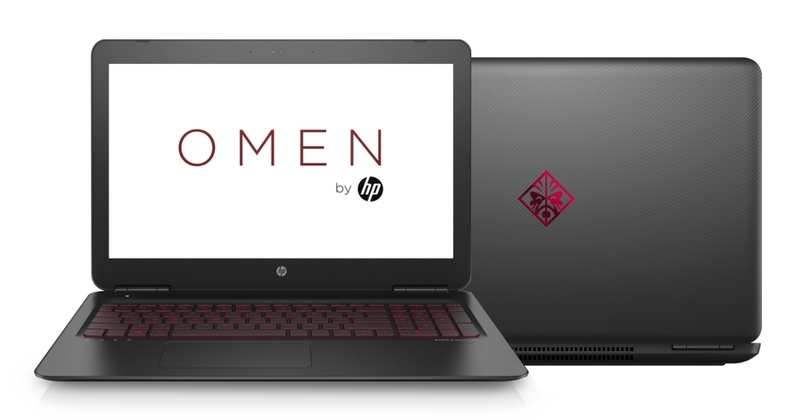 Good Gaming Laptop – HP Omen GTX 1050 AX! The current configuration for this one is available now in New Zealand sports a 1TB Hard Drive and also 256GB of extremely fast NVMe M.2 Storage along with 16GB of 2400MHz DDR4 ram to ensure smooth performance while you’re multitasking. Although it’s quite thin the Bang & Olufsen dual speakers can still pump out some glorious audio and the built-in wide vision webcam allows you to keep everyone in frame when video calling friends or family. It’s going to be a lot of fun comparing this one to our recent tests with the Sabre 15 below as the internal specs here are the same, keep your eyes on our PC Gaming Blog and our GGPC YouTube Channel for the latest! It’s not often that we see a gaming laptop with such amazing price/performance but the new Sabre 15 GTX 1050 Gaming Laptop brings it all together pretty perfectly, before we dive into the gameplay FPS tests though let’s take a quick look at the specifications. With a very quick M.2 SSD for loading times along with mass storage for games via the 1TB HDD the Sabre 15 is a versatile and agile gaming laptop, the i7-7700HQ and GTX 1050 combo is backed by an unexpectedly large 16GB of 2400MHz DDR4 ram also. The frame of the laptop screams gamer with aggressive detailing on the lid and also along the rear cooling vent, and the chiclet keyboard glows with a cool white LED which can adjust manually or automatically via the light sensor. This chassis supports a range of connection options including the USB type-C and twin Mini DisplayPorts along with the must haves like HDMI and USB 3.1, it even sports a discreet 6 in 1 card reader which is pretty handy to have! – Webcam and Mic build in. Looking specifically at Overwatch we were able to maintain our 60FPS target even with the texture filtering quality set to EPIC, furthermore we recorded this very heavy battle with the built-in Nvidia Shadowplay Game Capture tools which can now even stream to Twitch, Facebook and more… and our CPU usage spent most of its time in the 30’s and didn’t even cross the 50% usage mark… insanity! Swinging around to an older game that won’t use much of the graphics card but should put more stress onto our CPU we fired up CS:GO 🙂 Again using the built in Shadowplay Game Capture to record the clip below we where able to hit a whopping 69% peak usage in an online match with both bots and real people playing. Rounding off the tests with a quick game of League of Legends we set out to get into a large team fight and succeeded 🙂 Even with all the explosions and effects on screen (game settings on MAX) our lowest dip was to 62.4FPS and that was only for a microsecond, crazy cool! While the performance for this laptop is excellent it’s not quite invincible 😛 for our final test of the night we headed to Novigrad – the largest city in the Witcher 3 and got into a some fights just at daybreak when the lighting effects hit hard 🙂 Even with all the settings turned down for this one hitting our 60FPS target wasn’t quite possible in the city although we did come close with around 45FPS even during our bomb test on a poor chap with shield 🙂 If you’re looking for great performance in Witcher 3 there is also another version of the Sabre 15 with a GTX 1050Ti we’re about to test and also check out our latest GTX 1060 Laptop tests with the Aero 15, it handled the Novigrad run insanely well! Good Gaming Laptop – Aero 15 GTX 1060! Update: Aero 15 Laptops are available for order in NZ now! Little tweaks to the design, like placement on the webcam and mics within the hinge keep things very slim indeed, and nice touches like the carbon fiber detailing on the back along with the way the RGB led shines through the dual cooling fans is just beautiful 🙂 When comparing with the previous Aero 14 the rear cooling vents on the Aero 15 have been extended and air blown out from two positions on the back of the laptop while gaming, and to go even further, a Thunderbolt 3 port has been added for a premium ultra-fast transfer speed at 40Gbps and the ability to connect external graphics enclosures (we tested this by adding a GTX 1080Ti), or run with twin 5K external displays… truly a mobile powerhouse without limits! Specifications wise it’s packing the latest 7th gen Intel Core i7-7700HQ, a 6GB GeForce GTX 1060 graphics card along with 16GB of DDR4 ram and a super quick PCIe M.2 for storage. 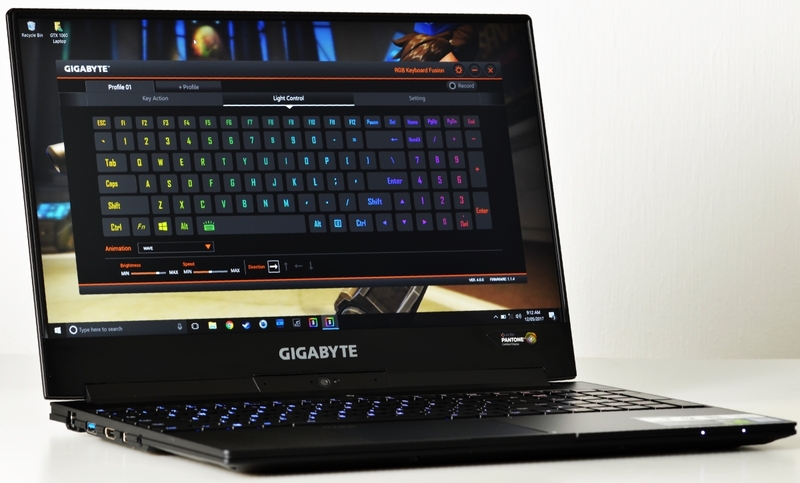 They’ve also done wonderful things to the keys on these new version and the new Aero 15 now sports a RGB Fusion chicklet keyboard with the best keys we’ve even seen – vibrant but with little light leakage! We’ve continued adding to our GTX 1060 Laptop Test YouTube Playlist and as you can see in the latest Witcher 3 Novigrad gameplay test below – things are looking very good indeed! 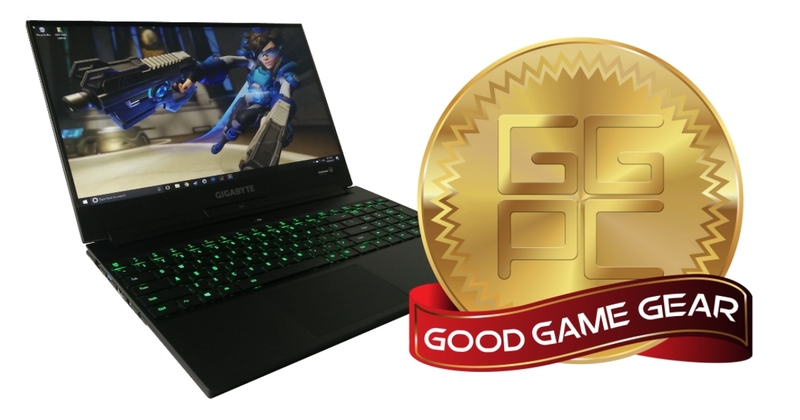 Now that we’ve had a really good play with the new GTX 1060 Aero we happily give this super slim and powerful little laptop our GGPC Recommends Award – the Aero 15 is GOOD! We’ve got more new laptops incoming, keep your eyes on the GGPC Computers Blog for the latest! 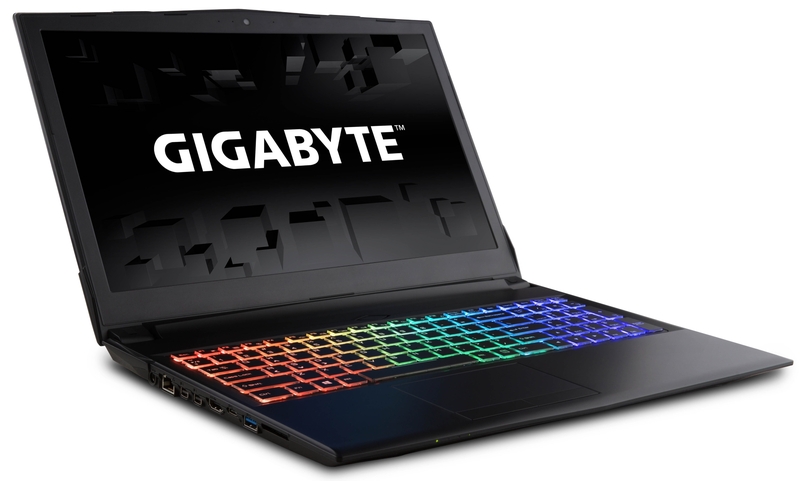 Good Gaming Laptop – Gigabyte Kaby Lake GTX 1060 Aero! 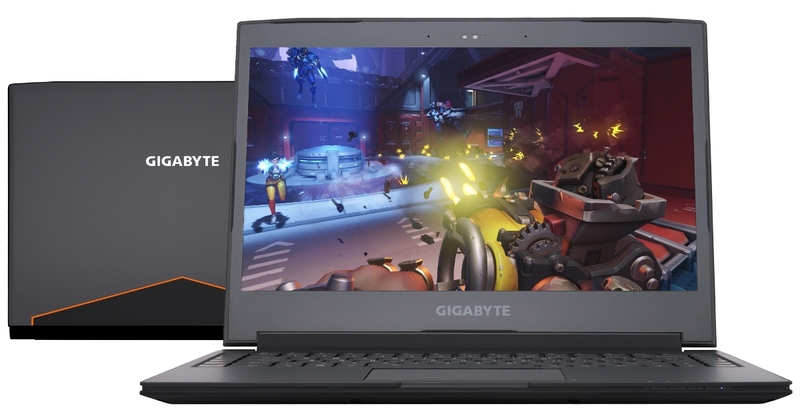 Gigabyte have continued to update their excellent line up of GTX 10 series gaming laptops and now the first of the Kaby Lake refresh has arrived in New Zealand – among which is the absolutely stunning Aero series which is now packing the mighty i7-7700HQ and a 6GB GTX 1060! Weighing in at around 2KG this is one of the few laptops available now that’s perfect for work (it’s so fast!) and also great for gaming after hours. It’s super thin too, coming in just under 2cm slim and yet those talented chaps at Gigabyte still managed to fit very comfortable auto-adjusting backlit keyboard… and individual macro keys! 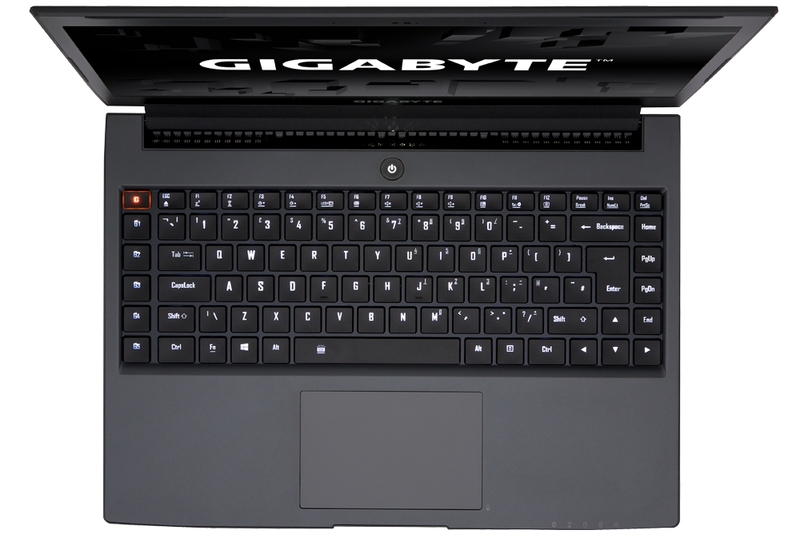 Good Gaming Laptop – Gigabyte GTX 1050 Sabre 15! When the GTX 10 series laptops first appeared late last year we were blown away in our tests with the new GTX 1060 and GTX 1070 variants, both in terms of performance but also with how close these portable solutions were to their desktop brethren. With the GTX 1060 Gaming Laptop power efficiency had become so good that when running on battery it was almost as powerful as when it was connected to mains power – as you’ll see below in our long test with Battlefield one it was very close but still required a little settings tweak when switching between the two. In a perfect world a gaming laptop will allow you to switch between powered and battery modes with no tweaking of settings required allowing us to truly game on the go. And that’s why we’ve been excitedly awaiting the new GTX 1050 gaming laptop release, and today a pretty cool looking new one just got announced! The new Sabre 15 Gaming Laptop in coming our way \o/ Featuring the new Kaby Lake Intel Core i7 processor and equipped with either the newly announced GeForce GTX 1050 Ti 4GB or the GTX 1050 2GB we’ll be putting both versions though some GGPC gaming tests to see exactly what these machines can do! We’ve recently updated our GTX 1050 Desktop playlist with new tests with a range of titles to compare with and it’s going to be blast finding out what these new gaming laptops can do. UPDATE: We’ve jumped into some games with GTX 1050 Sabre 15 Laptop and things are looking GOOD! Future tests aside (for now) the new Sabre series is looking really good, they’ve taken away the orange trim in favour of a clean all black look and the keyboard has been improved and is now fitted with 2.2mm travel scissor type keys, for that extra feel and precision 🙂 There will be options for a either a red LED or a glorious RGB backlit keyboard with 16.8 million colours to choose from. We’ll continue testing so keep your eyes on the GGPC Computers Blog for the latest! 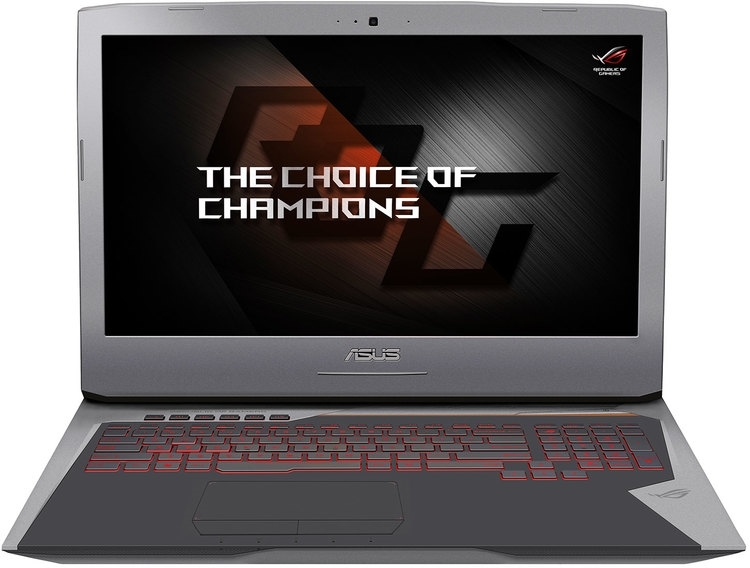 Good Gaming Laptop – Asus G752 with GTX 1070 Graphics! The new ROG G752VS GTX 1070 Gaming Laptop has a unique thermal design that directs dust into a dust-release tunnel to keep it away from internal components. This prolongs the component lifespan and enhances overall stability of the laptop by preventing dusk from clogging the radiator and reducing cooling effectiveness. With dedicated cooling modules for the CPU and GPU to effectively cool each component, hot exhaust is efficiently managed and expelled through the rear vents to direct heat away from you for more comfortable gaming sessions. The ROG-exclusive 3D Vapor Chamber, together with the copper heat pipe, create an effective and efficient cooling system that helps decrease GPU temperature by up to 7°C. 3D Vapor Chamber technology enables higher-end GPUs with higher TDPs (Thermal Design Power) to be efficiently and effectively cooled to safe operating temperatures, extending component and product life. 3D Vapor Chamber is filled with coolant that, when heated, change phases from a liquid to a gas and back again. It provides stable and evenly spread temperatures on all of its surfaces, regardless of the location and density of the heat source below the chamber base. This makes the ROG-exclusive 3D Vapor Chamber capable of dissipating large wattage heat sources from high-end and overclocked processors. Performance wise this config is dream come true, check out our GTX 1070 Gaming Laptop playlist for the best in-game settings and FPS details. 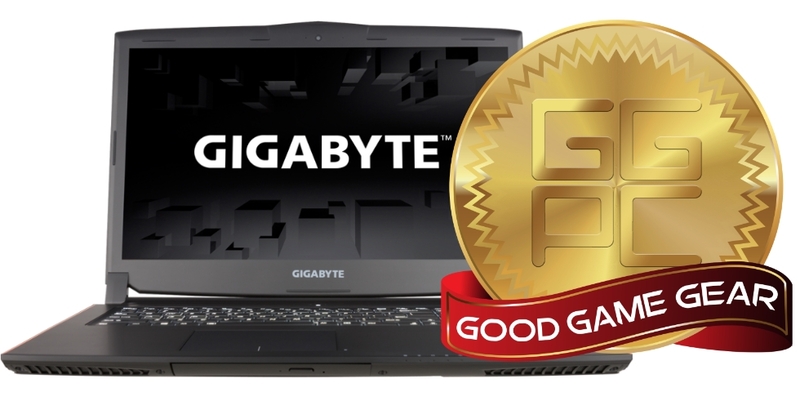 Good Gaming Laptop – Gigabyte GTX 1060 P55Wv6 is GOOD! Starting tests off with a good long game of Battlefield 1 the Gigabyte P55W v6 is looking very good indeed running above 60FPS at ultra! Quickly making our way into the Witcher 3 the GTX 1060 does very well yet again, with a little tweaking of the settings we hit our 60FPS target while slicing down bandits 🙂 If you’re lucky enough to have somehow not played the Witcher 3 yet a Game of the Year Edition has just released and you’re in for a treat as this single player game looks good and plays great. The multiplayer esports hit Overwatch plays pretty flawlessly on this config also, busting out over 100FPS at times while playing at maximum settings. Competitive play is in full swing and if you’re looking for a laptop to play on the go, the GTX 1060 is ready for the challenge! Keep your eyes on our GGPC YouTube Channel for more gameplay to check out! 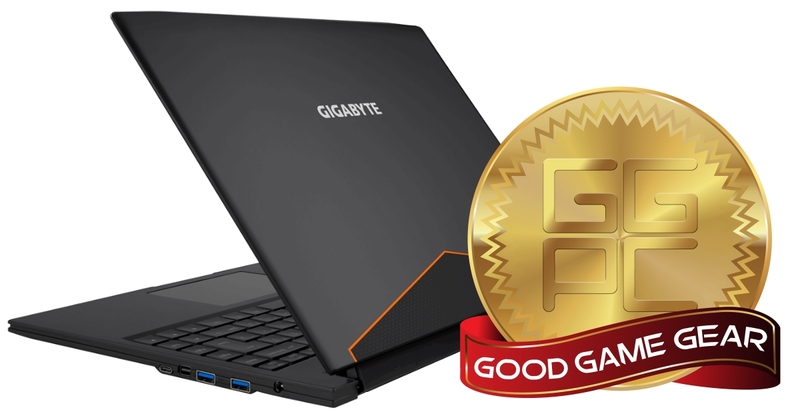 UPDATE: We’ve continued testing out everything this excellent new laptop has to offer (we also checked out other versions from MSi and Asus to compare) and now that we’ve had a really good go with it we’re happy to give the Gigabyte P55Wv6 our GGPC recommendation – This GTX 1060 Gaming Laptop is GOOD! Good Gaming Laptop – The GTX 1070 P57Xv6! 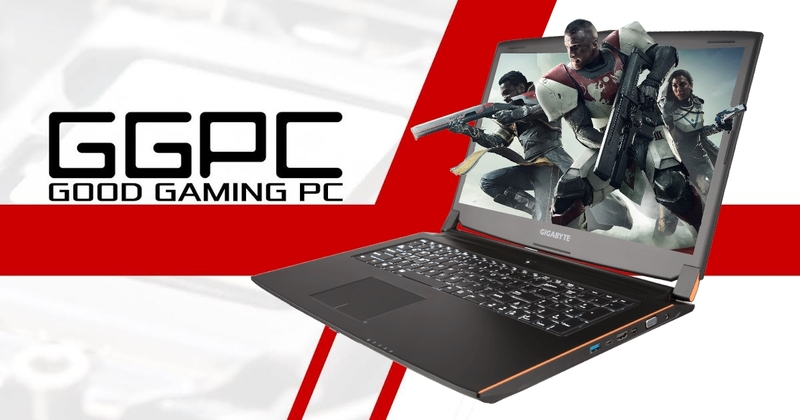 Recently we have had the pleasure of testing out some amazing new Desktop Graphics Cards on our GGPC YouTube Channel and today we excitedly get to play some games on the next generation of Gaming Laptops to see just how good things are going to be for a gamer on the go 🙂 Spoilers, things are looking really really GOOD. Armed with the new 17.3″ Gigabyte P57X Gaming Laptop which is packing an excellent i7-6700HQ + GTX 1070 combo (no M!) it’s got the power needed for high end gaming and also exceeds the requirements for a VR ready system! The Witcher 3 looks great with all the settings turned up as well battle the town guards in Novigrad some very high end hardware to enjoy, to get such high performance from a gaming laptop in this often challenging game is a really great to see. To round off the first tests we’ve done a very quick run-through with the new 3DMark Time Spy Benchmark, we ran this benchmark three times in succession to ensure the laptop was nice and warm and on that note the front of the laptop doesn’t actually get hot like others have in past tests, good design from Gigabyte with smart placement of the components towards the back allowing ventilation via the keyboard, nicely done indeed. The P57Xv6 Gaming Laptop also passes the VR Ready test even when running on battery, you can check out the SteamVR Performance Tests here though strangely it’s not actually detecting the Nvidia graphics card is these, the scores certainly looks like it’s using it however this could be interesting if the game you are wanting to play has some sort of autodetect hardware in place – more tests needed! Performance aside there are a few more things we like about this laptop, firstly the build quality is outstanding with very little flex, the hinges on the screen are robust (and orange) and if you tip the laptop upside-down you’ll see the impressive dual exhaust cooling system which, when at 100% speed (a setting we highly doubt you’ll use, auto is fine) has a noise output that is about twice that of an intel stock cooler running at full load. It’s packing most of the features we look for in a modern system like AC Wireless, Bluetooth 4.1, USB Type C, and HDMI 2.0 for 4K 60FPS, sadly no DisplayPort this time around. The laptop has a nice white LED keyboard backlight that can be switched between half strength, full, off and of course auto mode which adjusts to suit the lighting around you. 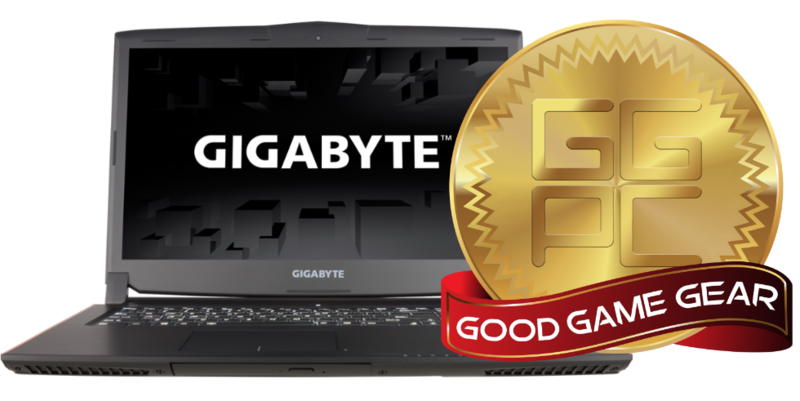 We’ve had a really good go with this new Gaming Laptop we can happily give it our GGPC Recommends Award – The Gigabyte P57Xv6 is GOOD! 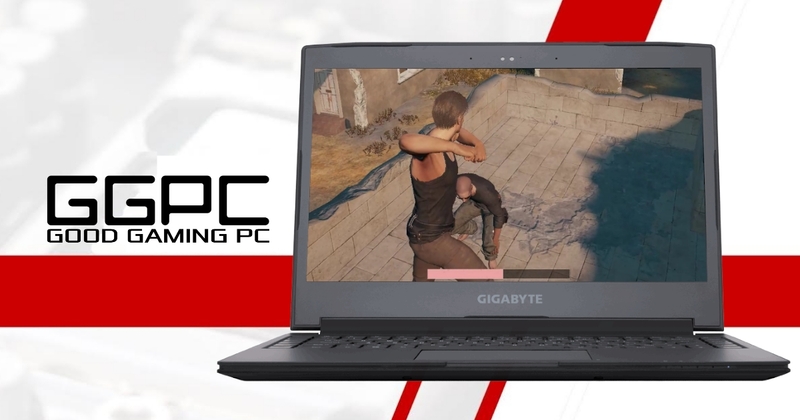 The latest range of Gigabyte GTX 1070 & GTX 1060 Gaming Laptops are available in New Zealand now and we’ll update our GGPC Computers Blog with more tests as we make our way through the impressive new range – fun times ahead!